Has Evil finally met it's match? Legendary Monster Hunter Van Helsing is sent by the Vatican to distant Transylvania, a land terrorised by the powerful Count Dracula. Joining forces with a valiant Gypsy Princess who is determined to end an ancient curse on her family by defeating the infamous vampire, Van Helsing continues his quest to rid the world of evil. 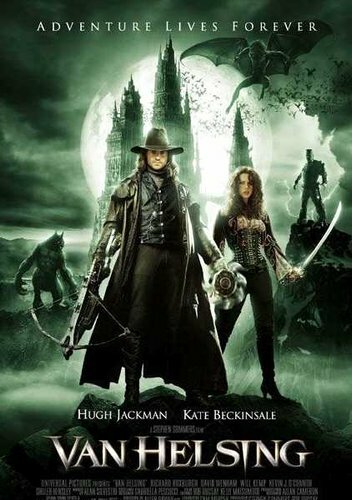 Directed by Stephen Sommers (The Mummy, The Mummy Returns) and starring Hugh Jackman (X-Men, X2; X-Men United) and Kate Beckinsale (Pearl Harbour, Underworld) Van Helsing defines the legends that are Dracula, Wolfman and Dr Frankenstein's Monster in this intense action adventure.